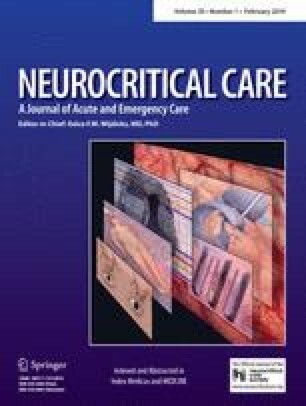 There is a growing interest in measuring cerebral autoregulation in patients with acute brain injury. Non-invasive finger photo-plethysmography (Finapres) is the method of choice to relate arterial blood pressure to changes in cerebral blood flow. Among acutely ill patients, however, peripheral vasoconstriction often limits the use of Finapres requiring direct intravascular blood pressure measurement. We evaluated how these two different forms of blood pressure monitoring affect the parameters of dynamic cerebral autoregulation (DCA). We performed 37 simultaneous recordings of BP and cerebral blood flow velocity in 15 patients with acute brain injury. DCA was estimated in the frequency domain using transfer function analysis to calculate phase shift, gain, and coherence. In addition the mean velocity index (Mx) was calculated for assessment of DCA in the time domain. The mean patient age was 58.1 ± 15.9 years, 80 % (n = 12) were women. We found good inter-method agreement between Finapres and direct intravascular measurement using Bland–Altman and correlation analyses. Finapres gives higher values for the efficiency of dynamic CA compared with values derived from radial artery catheter, as indicated by biases in the phase (26.3 ± 11.6° vs. 21.7 ± 10.5°, p = 0.001) and Mx (0.571 ± 0.137 vs. 0.649 ± 0.128, p < 0.001). Gain in the low frequency range did not significantly differ between the two arterial blood pressure methods. The average coherence between CBFV and ABP was higher when BP was measured with arterial catheter for frequencies above 0.05 Hz (0.8 vs. 0.73, p < 0.001). Overall, both methods yield similar results and can be used for the assessment of DCA. However, there was a small but significant difference for both mean Mx and phase shift, which would need to be adjusted for during monitoring of patients when using both methods. When available, invasive arterial blood pressure monitoring may improve accuracy and thus should be the preferred method for DCA assessment in the ICU.